We call for Arctic char in these simple oven-cooked fish cakes, but they’re also excellent made with salmon. Roast some carrot coins or broccoli florets tossed with olive oil on the pan with your cakes and you’ll have an easy sheet-pan meal. 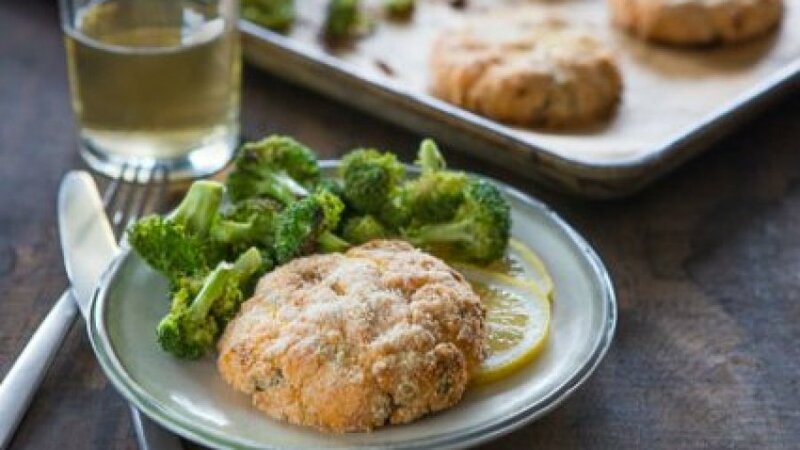 If you prefer smaller fish cakes, form the mixture into 12 small patties instead of 4 larger ones and cook for about 10 minutes. Place an oven rack in the top third of the oven and preheat the oven to 475˚F. Line a baking sheet with parchment paper. Put char in a food processor and pulse until just chopped. Add egg, capers and juice from half the lemon and pulse again. With damp hands, form mixture into 4 patties, each about 3/4 inch thick. Place panko on a plate; coat patties in panko and place on the prepared baking sheet. Roast until just cooked through, 12 to 15 minutes (do not overcook or cakes will be dry). Cut remaining lemon half into wedges and serve with fish cakes.